Defined as those born between 1982 and 1999, “millennials” have been given a slew of additional monikers – and not all of them are flattering. From the “me generation” to the more benign “Generation Y,” the “boomerang generation,” and “generation now,” there’s no shortage of labels for what currently makes up a large portion of the professional workforce. The U.S. Bureau of Labor and Statistics estimates that by 2018, half of those working are going to be millennials. While an influx of new workers is ultimately a positive sign for the country’s economy, it can mean some big changes for the workforce on the whole. Some of the statistics and attitudes about Gen Y-ers suggest that they expect more from their professional experiences. Whether you’re a Gen X-er making the transition to working with younger colleagues, an organization hoping to target millennials, or a millennial yourself, you can leverage this information to help improve your job hunt or recruiting technique and achieve a balanced workplace. On one hand, change is good, as it can mean innovation, streamlined processes, and added creativity. If you’re not a millennial, and are instead a competing colleague or an organization looking to hire Gen Y-ers, there are likely to be several changes in how you do business, especially when catering to the priorities of a younger and ambitious workforce. Understanding these changes can help you better plan for the future. As children of baby boomers, millennials are sometimes called “the baby boom echo.” Baby boomers approached job seeking and company loyalty in a completely different way than their children do. Many went straight from college to a job in their field of study, and stayed in that job or industry until retirement. Millennials expect more from their employment. The generation of Mark Zuckerberg and Sean Parker has seen plenty of young people get rich before their 30th birthdays. The result can be a sometimes ruthless quest for that next big idea or a proclivity to move from company to company in search of the best opportunity. Millennials Expect Promotions. According to a 2014 survey, millennials are unyielding in their quest for management roles. In fact, 40% of Gen Y-ers expect to be in a management position within two years. Millennials Are Not Loyal to Organizations. 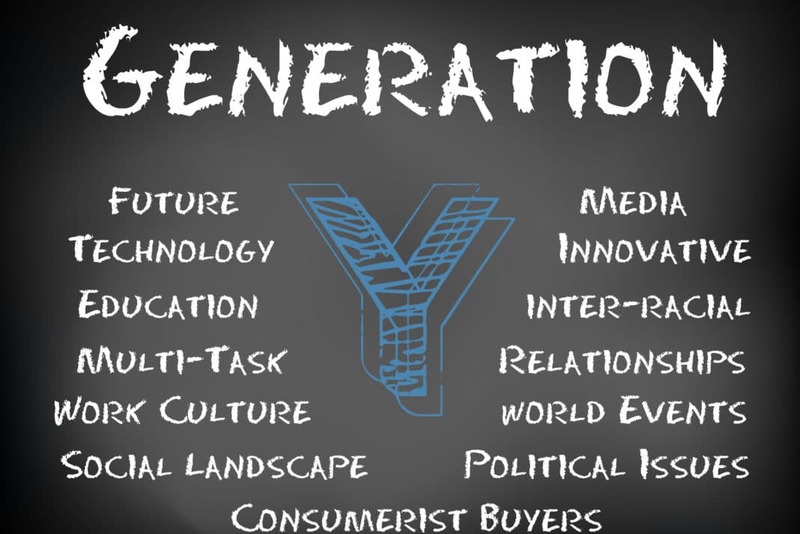 The ambition of Gen Y-ers can cut into their loyalty for a singular organization. In the same survey, 50% of respondents only expected to stay at their current employer for two years before moving onto bigger and better opportunities. Millennials Don’t Think Experience Matters Much. While millennials are ambitious and expect management roles, they don’t always see the need for experience, especially in the international sector. In the same MLS Group survey, many millennials noted that they expected to be in management positions or running their own companies within a few years of post-secondary graduation, regardless of international experience. It Costs a Lot to Replace a Millennial Employee. As millennials bounce from job to job looking for that golden role, businesses have to replace those employees with new hires. Unfortunately, according to one report by Forbes, 60% of millennials leave their companies within three years, requiring those organizations to pick up the $15,000 to $25,000 tab for recruiting, interviewing, hiring, and on-boarding a new staffer. These costs are especially high because on-boarding millennials costs more than the training and development of more seasoned hires. For Organizations. Companies have to work harder to catch and keep millennials. They are always looking for the next big thing, which can be a huge cost for organizations if they don’t offer in-house growth potential. For Gen X-ers. Because millennials can be fickle, use your loyalty as a vehicle for growth within a company. Talking to your supervisor about your history with the organization could shine a positive light on you when you’re up for a promotion against a younger colleague. For Millennials. By all means, be ambitious, but don’t let that ambition turn you into a “job hopper” who leaves after nine months – this can be perceived as a negative by future employers. Instead, take the time to garner all the experience and education you can with one organization, and if possible, allow it to match a new offer of employment, salary, or position if you receive an opportunity from another organization. Millennials suffer from a bleak employment outlook. According to Generation Opportunity, as of January 2014, millennial unemployment (those between the ages of 19 and 31) was 15.8%, about double the general average. This may be part of the reason Gen Y-ers are often called the “boomerang generation,” meaning they tend to move back in with their parents after graduating college. The Pew Research Center estimates that 34% of millennials are still living with their parents. Millennials Are Under Major Financial Pressure. High unemployment isn’t the only reason for difficulty. Of all generations, millennials are under the most financial pressure, according to the Pew Research Center. They have lower starting incomes, higher debt, and greater poverty than the two previous generations. That can mean they’re more likely to snag the first job that comes along simply to make ends meet. Millennials Are Up Against Stiff Competition, But Are Willing to Try. While Gen Y unemployment is high, millennials aren’t afraid to get out there and apply for opportunities. A survey completed by Deloitte found that in general, millennials were more likely to take on higher responsibility levels and work toward more ambitious goals, which could lead them to apply and get jobs outside of their level of experience. Millennials Use Innovative Job-Seeking Methods. Today’s millennials know that in order to get their dream job, they need to do more than just search the classifieds. Online networking, digital resumes and portfolios, and even cold-calling organizations is the norm if they want to move their applications to the top of the pile. Sending in a resume simply isn’t enough with today’s high level of competition. Millennials Would Rather Wait. While high financial pressures push some millennials into entry-level jobs just to pay the bills, others would prefer to wait for their dream job. According to a report called “No Collar Workers” completed by MTV, 90% of millennials thought they “deserved” their dream job, and some reported that they would rather be unemployed than work at a job they didn’t enjoy. That’s reflected by the approximately 1.7 million Gen Y-ers who don’t work, yet aren’t considered “unemployed” by the BLS because they’ve actually stopped looking for a job. For Organizations. If you’re looking to attract a millennial workforce, you have to go where the Gen Y-ers are: online. Advertising jobs via social networking and online job boards can catch the eyes of those who already use those sites for networking and communication. You can also enjoy a unique opportunity to attract an enthusiastic, innovative crop of new hires by trusting younger employees with more responsibility. For Gen X-ers. You’re definitely up against some serious competition when it comes to finding, applying, and interviewing for a job. When you’re pitted against a younger workforce, always let your experience shine. While millennials might have new ideas, you have years of experience. You may also need to start looking for employment via social networking and ensuring that your social media accounts are updated and optimized. For Millennials. Experience can really set you apart from the pack, and volunteering and interning can help beef up your resume. Enthusiasm can also make a big difference, as can cultivating a portfolio that shows how effective and innovative you are as an employee. Even if you have to take on a lower-level job to gain experience and pay down debt, remember that it’s an excellent way to get started, even if it’s not your dream job. 40-hour work weeks and a 9-to-5 schedule? Not for these young professionals. Thanks to new innovations in the remote workforce, and emphasis on a healthy work-life balance, organizations may find themselves changing their current practices to allow for a pickier wave of workers. You can thank their parents: Gen Y-ers have always been given a very high degree of autonomy, from choosing their own outfits as toddlers to having more choice in after-school activities as high schoolers. The result is a generation that expects to have a large say in how they spend their time, even when they’re working. Millennials Demand Telecommuting, Freelance, and Flexible Jobs. Skype, FaceTime, Dropbox, and cloud computing – it all makes it possible for offices to exist wherever there’s an Internet connection. Because of this, many millennials prefer to make their own schedules as freelancers or choose jobs that encourage telecommuting. In fact, MTV found that 81% of Gen Y-ers felt like they should be able to make their own schedules. Some Millennials Would Choose Flexibility Over Pay. In a study completed by Millennial Branding, 45% of Gen Y-ers said they’d choose a flexible job over more pay, proving just what a boon a make-your-own-schedule environment can be for organizations actively looking to hire millennial workers. Millennials Want a Better Work-Life Balance. Take it from the organizations that offer perks such as employee gyms, free healthy food, yoga classes, and even mentoring programs: Gen Y-ers want their work to complement their lives. They expect better person-to-person connection with their colleagues and want to be active participants in workplace culture. Millennials Want to Make Nice With Their Bosses. The MLS Group found that millennials were particularly keen on seeing their bosses as “mentors” and “friends,” rather than just supervisors. They expect upper management to listen to their ideas and want to be considered peers at work, not just employees. What’s more, they want to feel as though managers are actively on their side and helping their careers. The MTV “No Collar Workers” survey found that 76% of millennials believed their bosses could learn from them. Millennials Prefer a Casual, Social Workplace. The days of suit-and-tie dress codes are under serious challenge by a super-casual wave of Gen Y-ers just coming out of college. As highly social beings, they appreciate opportunities to collaborate, share, and socialize with their colleagues, which is why organizational social networking, regular social events, and more casual working relationships are the norm. For Organizations. If your organization is actively looking to target a millennial workforce, focusing on a steady work-life balance and flexible scheduling can set you apart from other employers. What’s more, allowing telecommuting and hiring freelance contractors can actually save money, since you won’t have to spend big bucks to keep workers in-house. Investing in other perks, such as on-site fitness centers, can also help sway millennials to your organization. For Gen X-ers. There’s no reason you can’t benefit from the demands of a younger workforce. While it can be hard to adjust after years of maintaining a more professional image, it’s okay to dress down and enjoy more flexible hours. It’s also important to listen to and respect the opinions of your younger colleagues – otherwise, you risk appearing as though you’re resistant to change and innovation. For Millennials. Work your angles when you’re job hunting. Even if your dream job is across the country, you could negotiate a relationship in which you’re hired as a telecommuting employee or independent contractor. Just be sure you’re not signing on for the wrong reasons – while a ping pong room is great, if the organization doesn’t offer a ton of growth or a sufficient salary, it’s more of a distraction than a perk. Finally, millennials are changing the structure of work benefits. Because they generally expect more and have very defined ideas and belief systems, they typically prefer to align themselves with organizations that best reflect their own values. In short, millennials aren’t just looking for jobs – they’re looking for lifestyles. Millennials Still Want Excellent Benefits Packages. Surprisingly, the Pew Research Center found that millennials generally want some type of healthcare, but actually oppose the Affordable Care Act (fewer than half would choose Obamacare). Still, with 33% of Gen Y-ers without healthcare, these benefits are important to provide, even for a smaller business or start-up. Millennials Want to Work for an Ethical, Innovative Company. Deloitte found that 50% of millennials wanted to work specifically for a company with ethical practices. They also expect their organizations to do more for their community, particularly improving unemployment and income equality. Millennials Are Interested in Negotiating Benefits. Opportunities for growth often rank higher in priority when compared to starting salary, according to a survey by PwC. In fact, millennials are more than happy to negotiate when it comes to creating a benefits package – for example, swapping out higher-dollar healthcare for more vacation days, or arranging for regular performance reviews and promotion opportunities. Millennials Are Charitable and Want to Contribute. Opportunities to give back via work-life balance are important for millennials who are typically well-informed on social issues. In fact, they respond well to companies that donate to charity, hold regular fundraising efforts, and offer organization-wide volunteer work. For Organizations. While interested in typical health benefits packages, millennials also want to know that the company they work for is ethical and socially involved. Demonstrating a community spirit can help attract idealistic Gen Y-ers who want to make a difference, and who see their positions as truly contributing to the greater good. For Gen X-ers. Keep an eye on the benefits being offered to new hires, and use them as bargaining chips to increase your own benefits. If millennials are scoring better packages and even charitable giving matching, you should be able to approach HR and ask for those same things. For Millennials. Take the time at the beginning of your recruitment to negotiate the benefits you want, whether it’s more vacation time or better healthcare. While it can be hard to get companies to budge on salary, you can usually find a little leeway in benefits packages. Remember that while a company that offers volunteering opportunities is awesome, you can always do it on your own time. Millennials are flooding the job market – and organizations, Gen X-ers, and Gen Y-ers themselves need to be ready. Millennials’ ambition – when properly harnessed and applied through leadership training – can mean massive growth in productivity and efficiency. Sure, they might be called the “me generation,” but that attitude can pay off in the long-run. Whether it’s changing up your training methods to allow for a shorter attention span or adding a few cool amenities to your office, the forward motion you can create with this new generation of workers can pay immense dividends. What do you think about the influx of millennials?